No visit to Portland Oregon would be complete without sampling the city's tastiest beverage - beer! 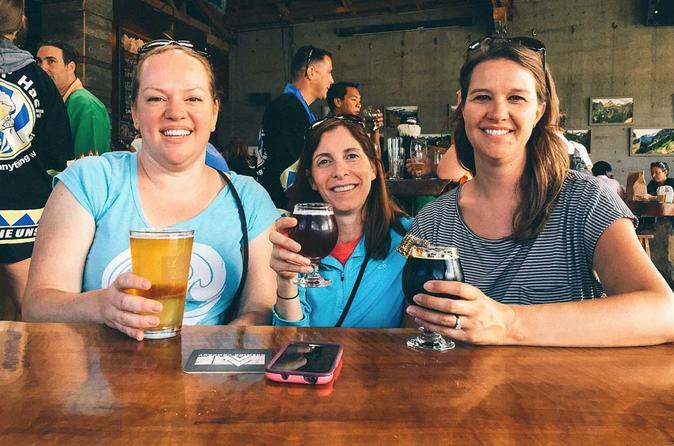 Our experienced guides select the best breweries in town, and deliver you right to the doorstep of the craft brewery scene. After enjoying two unique breweries, this tour ends with a complimentary local micro-brew fresh off the taps in our bike shop! Portland boasts the most brew pubs per capita and at 58 (the last time we counted) it would be dangerous to visit them all. Luckily we’ve narrowed it down to a few of our favorites and they all happen to be a short ride apart. Contact us about visiting your favorite brewery or if you want to inquire about the choices for the route. Food and Beverages are not included at the first two stops so that there is no pressure to “drink your money’s worth” and so that every one can be in control of their own intake levels. We encourage tasters to be split between two persons, which allows everyone to sample the delicious styles that the Pacific Northwest has to offer. Upon returning to the shop, we'll share in a free celebratory beverage provided by Hopworks Urban Brewery, and you'll get your own pint glass to take home and remember your journey with!